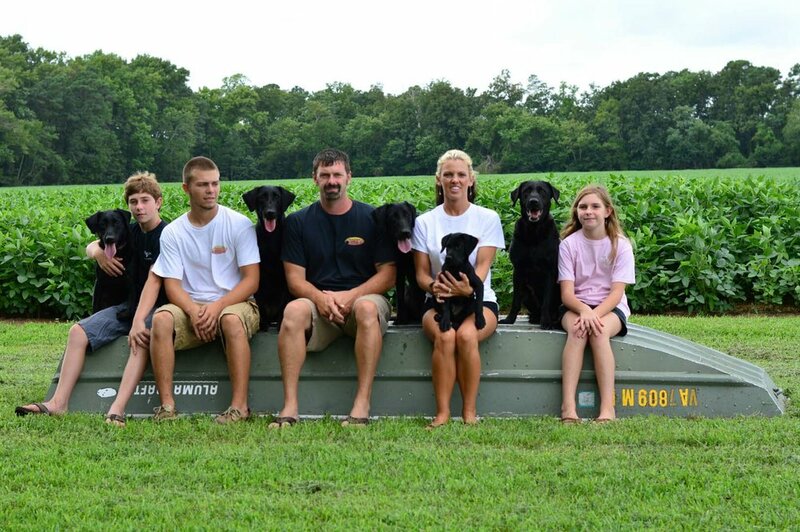 Raising and training retrievers on Virginia’s Eastern Shore. Old Town Retrievers is a one-stop shop for hunters and dog lovers. 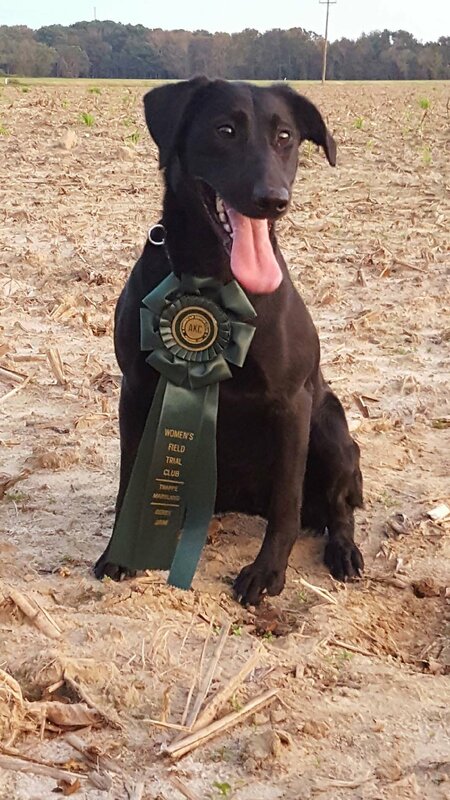 Operated by Ryan and Whitney Sayers near Eastville, Virginia, this family business trains retrievers as hunting dogs, field trial and hunt test competitors but also offers boarding and basic obedience training for other breeds. Located on a large farm surrounded by two ponds, flooded timber and large fields, Old Town Retrievers is barely more than a stone’s throw from a creek that feeds into the Chesapeake Bay. As a complement to their retriever training business, they also provide a range of hunter’s gear, from hand-turned, custom duck calls to a clothing line with waterfowl themes. Dogs trained by the Sayers have also performed well at field trials. Dogs shown by Ryan and Whitney have achieved master, senior or junior AKC hunter status. Their dogs have amassed so many ribbons they are now packed away due to lack of space. The Sayers are not content to stop at excellent retriever training, and have expanded their business to include custom-made decoy calls and outdoor apparel. The calls reflect the skill of the Sayers’ children in calling. All three, Gavin-19, Landen-16, and daughter Peyton-12, have won ribbons at calling contests. Last year, the Sayers’ offerings expanded with an apparel company called “Fetch” embellished with a logo cleverly showing the “e” as a webbed foot. “Fetch is a word we use every day,” says Whitney Sayers. “We have been very pleased with the response. We offer shirts, sweatshirts, hats and tumblers,” adds Whitney, who designed the Fetch website—ShopFetchLife.com. However, the core of Old Town retrievers remains breeding and training dogs. Ryan and Whitney Sayers work as a team. She works with the puppies and takes them to the junior level, turning them over to Ryan as they mature. The price of puppies at Old Town Retrievers differs from litter to litter. “It’s all about the bloodlines, the health clearances and several other factors,” says Ryan Sayers. “These dogs have been bred to perform in the field or at a show.” Of course, hunters who want a dog trained and ready to hunt are willing to pay considerably more for a young dog that has been tested under all conditions. “Some owners want a turn-key job, a dog that is ready on day-one,” says Sayers. Bill Sterling is a retired editor/general manager of the Eastern Shore News and outdoor editor for the Eastern Shore Post who now enjoys hunting and fishing on Virginia’s Eastern Shore.